Mr. Dennis’ practice emphasizes both prosecuting and defending a wide range of federal and state civil litigation matters, including catastrophic injury claims, product liability cases, complex internet and business litigation, employment/labor law and class actions lawsuits. Before taking up the law, Mr. Dennis was a founding partner in a Chicago-based advertising firm, which focused its business on digital media, assisting clients breaking through traditional brick and mortar models, expanding their online presence and increasing bottom line revenues through new and creative digital-based business models. Mr. Dennis obtained a Bachelor of Science degree in Business Finance from the University of Southern California in 1999. Mr. Dennis obtained his Juris Doctorate degree from Loyola Law School, Los Angeles, in 2006. Mr. Dennis is admitted to the State of California Bar and the United States District Court for the Central, Northern, Eastern, and Southern Districts of California. 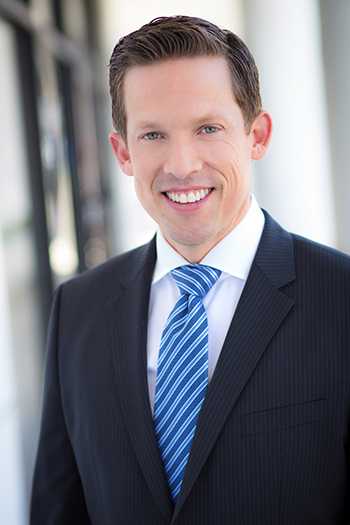 From 2012 – 2017, Mr. Dennis was named as a “Southern California Rising Star”, an impressive distinction awarded to only 2.5% of attorneys in Southern California, and was featured in Los Angeles magazine and Super Lawyers magazine as one of the premier lawyers in Southern California under the age of 40. Additionally, Mr. Dennis is rated a 10/10 on Avvo.com. Mr. Dennis sat on the Beverly Hills Bar Association Barristers Board of Governors from 2008 to 2014. From 2011 to 2014, he served the executive committee as the Barrister’s elected treasurer. In 2014, Mr. Dennis was elected as the chairman of the Personal Injury Section for the Beverly Hills Bar Association and served his full term. He continues to serve as a board member. Additionally, he is a member of the Order of Distinguished Attorneys. Mr. Dennis is also an active member of the Consumer Attorneys Association of Los Angeles (CAALA), the Orange County Bar Association (OCBA), the Orange County Trial Lawyers Association (OCLTA), and the Greater Irvine Chamber of Commerce.